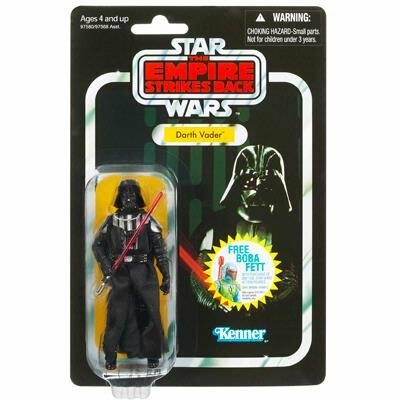 Collect pieces of saga history with this incredibly detailed Darth Vader figure! Based on the character from the classic The Empire Strikes Back film, this articulated action figure and his lightsaber accessory come in reproduction of the same packaging the original figure was released in. Whether youre recreating exciting battle scenes or building up your collection, the fun is sure to be epic! Figure comes with lightsaber accessory.